Then there was the authoritarian Labor premier E.G. (”Ned”) Hanlon, who not only rigged the state’s electoral boundaries but arranged for Paterson to be bashed by a Queensland detective on St Patrick’s Day 1948; and the autocratic Sir Johannes Bjelke-Petersen who played fast and loose with the electoral and judicial systems. As Sean Parnell, an award-winning Brisbane journalist, points out, the flamboyant and eccentric mining magnate Clive Frederick Palmer also has a knack of making headlines and attracting scores of passionate admirers and detractors. The litigious Palmer, a white-haired, bulging billionaire who keeps his friends and family close, is probably best known for his plans to build a replica of the ‘Titanic’ in China and for his forays into parliamentary politics, in particular the recent federal election, for which he spent well over $20 million. 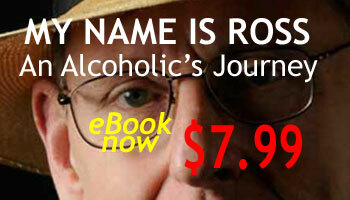 seasoned journalist and first-time author who is constantly wanting to know more”. Parnell admits some potential sources would not speak to him on the record “for fear of being sued and bankrupted”, while others see Palmer “through a prism that solely reflects his loyalty and generosity”. While many sources are listed as anonymous, the 16 people who were brave enough to be interviewed for this book include the former Queensland premier and now failed federal politician Peter Beattie; the re-elected LNP federal member Mal Brough; the notorious ex-Liberal MP and Independent Speaker of the House of Representatives Peter Slipper; and Queensland’s deputy-premier, Jeff Seeney, who despite being a conservative continues to clash with the state’s richest man. Significantly perhaps, only two women were willing to go on the record about the founder of the Palmer United Party (PUP), which won three Senate seats in the federal election. Palmer won the House of Representatives Sunshine Coast seat of Fairfax by seven votes, triggering a recount still underway. Fragile, underweight and asthmatic as a child, Palmer spent his early years in the seaside suburb of Williamstown in Melbourne. Palmer began to thrive in 1965, aged nine, when his father George moved the family to the Gold Coast. After a few years in the sun and surf, and living at ”Rio Vista”, he became a well-built, high-achieving football player and promising all-round athlete. Although close to his Irish-born mother Nancy, the most important influence on Palmer’s business and political life was his entrepreneurial, media-savvy, travel agent father. After a brief and largely unsuccessful period at the University of Queensland, Clive – a committed Catholic like his mother – involved himself in anti-abortion campaigns and increasingly in conservative politics. After a brief period away from Queensland with his devoted partner Sue (whom he eventually married in 1983) he moved into real estate, amassing $40 million before he turned 30. Buying and reselling undervalued assets was “his bread and butter”. Under the pen name F. Clive Palmer, he wrote a book whose title, ‘Dreams, Hopes and Reflections’, is reminiscent of the 1963 autobiography of the Swiss psychoanalyst, Carl Gustav Jung, ‘Memories, Dreams, Reflections.’ Palmer’s book attracted few sales but was dedicated to Sue, his affectionate, no-frills partner from the Darling Downs. Parnell says Sue was often Clive’s only human constant – “smart, perceptive, compassionate, she fuelled his confidence”. The overbearing businessman turned politician puts it thus: “I think love can be blind Ã¢â‚¬Â¦ She certainly loved me and I loved her and regardless of my faults and weaknesses – and I had many of them – Ã¢â‚¬Â¦ she stood by me as a person”. This is a side of Palmer not many punters see. Sydney Morning Herald, October 12-13, 2013 SPECTRUM p 33.